Acute pain refers to any specific, sharp pain that is of rapid onset or pain that results from a specific traumatic incident such as an injury to a specific part of the body, or an illness. Acute pain tends to be very isolated. Such pain comes on quickly but often has a limited overall duration. Acute injury is usually the result of a specific impact or traumatic event that occurs in one specific area of the body, such as a muscle, bone, or joint. Medical providers use the term "acute" to describe symptoms, a disease or a condition in one of three various ways. This term is used to describe a medical condition when the problem comes on quickly if it lasts only a short period of time or both. Patients often think the word acute means severe, but professionals do not use the term in that way. Examples are acute leukemia or acute appendicitis, both of which seem to develop quickly, and acute respiratory illness which may last only a short time. Acute pain from an injury issue typically requires immediate medical attention, including first aid treatment. A common acronym for acute injury treatment is RICE, which stands for rest, ice, compression, and elevation. Rest: Getting proper rest is an extremely important aspect of injury recovery, regardless of if the injury occurred to a muscle, tendon, ligament, or bone. 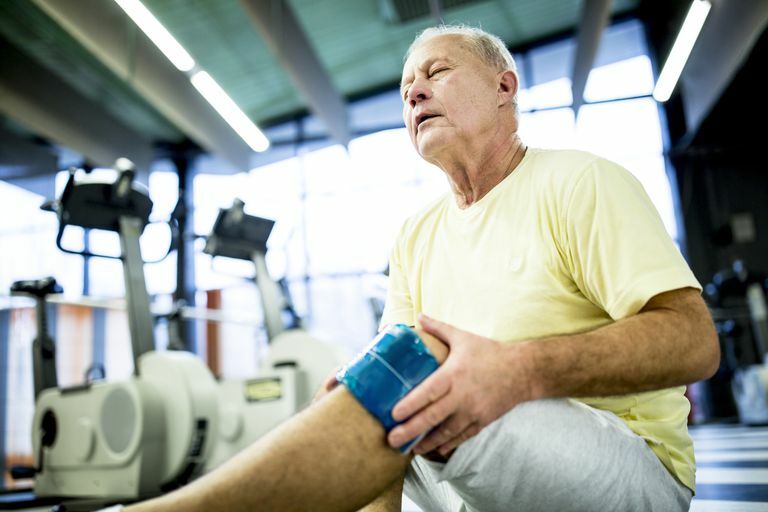 Once injured, the further activity that stresses the injured area must be stopped until the injury is allowed to recover over a period of time. Recovery time varies based on the particular injury, but the need for rest following an injury is universal. Be sure to give your body plenty of time to recover following any injury issues. Ice: Ice is a very effective took for acute injuries. Cold contact provides short-term pain relief to an injured area, and also works to limit swelling by reducing the overall amount of blood flow to the injured area of the body. Compression: Compression is also important for post-acute injury treatment. Compression helps to reduce and limit overall swelling. Compression also occasionally works to ease the pain. Wrapping an injured area in a bandage is a good way to provide consistent compression to an injured area. The term "subacute" refers to a medical problem that is not exactly acute or chronic, but rather somewhere in between.